A meeting held at PRI’s Head Office in London on 23 January 2018 gathered a number of experts to discuss the mental health and well-being of prisoners, in order to provide input into a publication that will give guidance to front-line prison staff to identify and support prisoners’ mental health needs. The publication, which will be launched by PRI in April, will give practical guidance on how to apply international standards, including the UN Nelson Mandela Rules, using a human rights-based and holistic approach. The 12 experts included representatives of national prison services, the United Nations, civil society, National Preventive Mechanisms (detention monitors), and academia. Where studies of mental health have been conducted within prison populations, the prevalence of mental health issues has been shown to be considerably higher than in the community. This is partly because people with mental health issues tend to be imprisoned at higher rates, not least because they are more likely to be arrested, to confess and to be refused parole. Furthermore, imprisonment can be a cause for mental health conditions, or, in many cases, can exacerbate them. Despite this, many countries do not provide adequate mental health support to prisoners. Neither are there adequate numbers of psychologists and psychiatrists, and prison staff are not trained and equipped to help retain or improve the mental health of prisoners in their care. 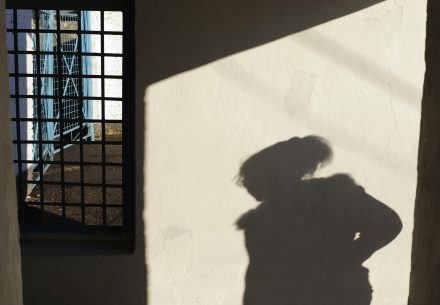 As the World Health Organization explains, ‘prison services have had little guidance on mental health, including health promotion and the reduction of the harm that may arise from imprisonment. In addition, prison staff dealing with disturbed or otherwise difficult prisoners may experience workplace-induced stress, with implications for their mental and physical well-being and the good management of prisons’. Discussions centered around challenging stigma, raising awareness and practical ways prison staff can protect the right to mental well being of prisoners, which would also contribute to safer working conditions for staff. Positive, non-stigmatising attitudes by staff are known to positively affect the mental health of prisoners and improve their chances of rehabilitation and reintegration following release. During the meeting, the UN Special Rapporteur on Health, Mr Dainius Pūras, emphasised the need for prison systems to recruit carefully, so that front-line staff have the right skills to interact positively with prisoners under their supervision. ‘We hope that PRI’s publication (which will be published in April) will help build greater awareness among prison staff of how to protect and promote the mental well-being of prisoners, as well as remove the stigma associated with mental health,’ explained Olivia Rope, PRI’s Policy and Programme Manager. Read an expert blog by Marayca López and Laura Maiello-Reidy, which explores how prison design can significantly improve the living conditions of mentally ill inmates.